2 When to use a Repeater Custom Meta Box? 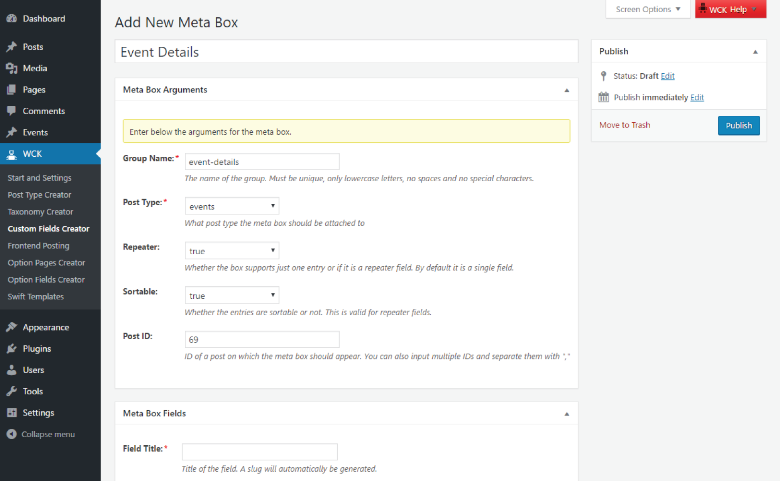 A Repeater Custom Meta Box allows you to add a Repeater Custom Field or a Repeater Custom Field Group to a specific Page, Post or Custom Post Type. When to use a Repeater Custom Meta Box? A Repeater Custom Meta Box comes in handy when you want to add multiple Custom Fields or Groups of Custom Fields of the same kind, without knowing the exact number. It’s useful for situations where the number can vary in time, like for example when you want to create an “Our Team” or “Testimonials” page. 1. 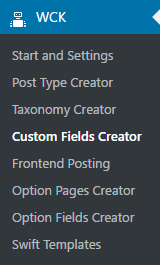 From the WCK plugin tab, click on Custom Fields Creator. 2. 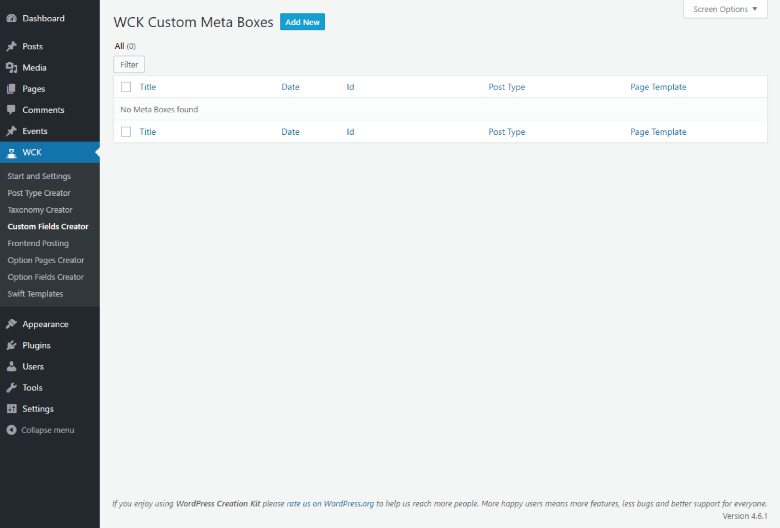 Click “Add New” to create a new Repeater Custom Meta Box for your Repeater Custom Fields. 3. Add a Custom Meta Box Title (e.g. Event Details) and fill in the Meta Box Arguments. For a Repeater Custom Meta Box make sure to set Repeater to true. When you’re done, go to Meta Box Fields to add your Fields. 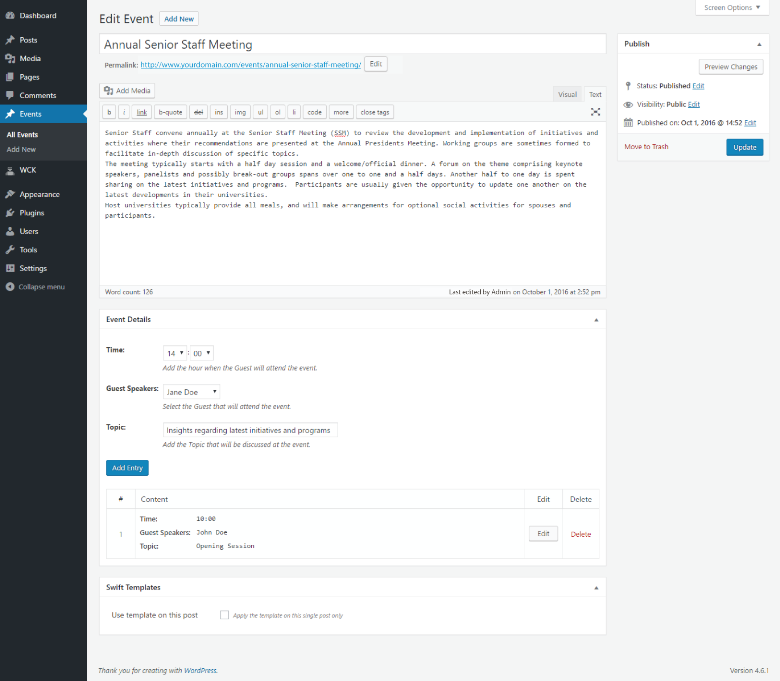 Page Template – If post type is “page” you can further select a Page Template. The Meta Box will only appear on the page that has that selected Page Template. 4. 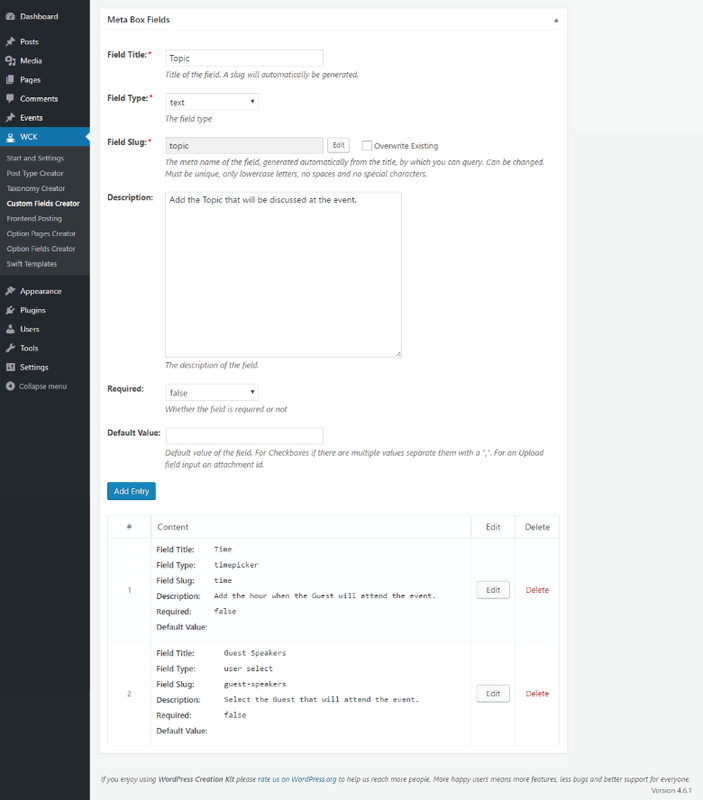 After, under Meta Box Fields tab insert one (Repeater Field) or more (Repeater Group) Custom Fields, one entry at a time. Make sure you specify a Field Title and a Field Type. 5. Hit “Publish” and you’re done! Now, under “Event” post, you’ll have a Repeater Custom Meta Box to insert one or more details about the Event.